Created in the 1970s, 2C-B is a designer hallucinogenic drug that produces a trip similar to LSD and MDMA. Effects range from euphoria and increased sexual desire to visual hallucinations. Little is known about whether the drug is addictive, but long-term users can develop tolerance. The drug can cause a number of unpleasant side effects, and lethal overdoses have occurred with similar chemicals. Enhanced visual, auditory, and tactile sensations. Hallucinations (visual patterns and movement with shifting colors). Increased sexual interest and pleasure. Increased feeling of insight or perspective. Within the first 20 minutes to 1.5 hours, a person will begin to notice increased emotional and sensory activation. This is followed by increasing sensations for the next 15-30 minutes and then a plateau, when symptoms are at their peak for about 2-3 hours. Hypertension or increased blood pressure. Delirium that may include agitation, violence, and/or hyperthermia, or death. But there is not enough research to support a definitive statement about the long-term effects of 2C-B. Even though 2C-B could be compared to other drugs in the hallucinogen class, it is not empirically proven that 2C-B interacts with the brain in the same way as other hallucinogens. Funding for 2C-B research is needed to better understand the long-term effects. 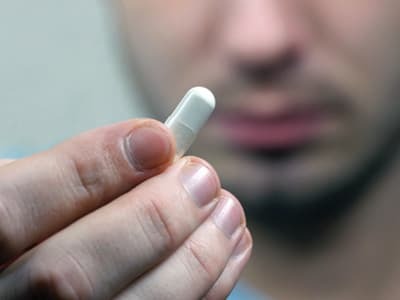 Much is still unknown about the connection between prolonged use of 2C-B and withdrawal symptoms. At this time, it’s unclear whether one can overdose on 2C-B. However, since 2C-B is manufactured illicitly, users cannot know for sure what they are taking and may overdose or have an adverse reaction to another drug. A consumer may get a derivative of 2C-B that can be lethal. People have overdosed on the variations of 2C-B compounds on the illicit market.2 However, a straight 2C-B overdose has not been reported. Some hallucinogens are considered addictive, and there is debate over whether MDMA is addictive.8,9 But because there are many variations of the 2C compound, it is difficult for scientists to study and understand the way that 2C-B interacts with the brain to create hallucinogenic effects. It therefore cannot be said for certain whether the drug is addictive. Partial hospitalization (PHP)/intensive outpatient (IOP) – PHP provides full-day monitoring and stabilization of any withdrawal or medical symptoms, and group therapy. IOP provides group therapy, but the program will expect you to have an outside medication provider. These programs may also provide both family and individual therapy as needed. Neither program offers housing. Individual therapy – Individual therapy may be helpful if you or a loved one cannot quit using 2C-B or other drugs. Therapists can help you understand why you use and help you to develop positive coping skills and make lifestyle changes that can help you remain sober. 12-step and non-12-step programs – These programs include Alcoholics Anonymous and other non-12-step programs, such as SMART Recovery. These groups provide education, support, and mentoring throughout your recovery. One of the many benefits of peer support groups is a sense that you are not alone, which can be a healing element in itself. Inpatient – Inpatient or residential programs are fully immersive programs in which you live at the treatment facility and participate in recovery activities throughout the day. Programs often include individual therapy, group therapy, medical care, detox, and 12-step groups. National Drug Intelligence Center. (2001). Information bulletin: 2C-B (nexus) reappears on the club drug scene. Dean, B. V., Stellpflug, S. J., Burnett, A. M., & Engebretsen, K. M. (2013). 2C or Not 2C: Phenethylamine Designer Drug Review. Journal of Medical Toxicology, 9(2), 172-178. Koelhoffer, T. (2008). Ecstasy and Other Club Drugs. Infobase Publishing. National Institute on Drug Abuse. (2016). What are hallucinogens?